On the 7th of December we had a very special day. At 6:00 pm we started with a penitential rite; two priests came to hear confessions. We got together about 95 young people. 7 girls came and two Sisters came from Chone. During the penitential rite, we helped them to make an examination of conscience, and I think that all but two went to Confession. The priests spent the necessary time with each one, not trying to rush through the Confessions.. At 8 pm, there were still plenty of young people wanting to go to Confession, so one of the priests celebrated Mass and the other continued to hear confessions. We had dinner at 9:00, followed by the vigil of the Immaculate Conception, with adoration of the Blessed Sacrament. During the adoration, one of the priests continued to hear confessions, while the other had to leave. At 11:00 he finished hearing confessions and left. After the vigil, we had a little bit of singing and celebration and then went off to bed. It was a wonderful experience, everyone was thrilled. During the vigil, many renewed their commitments and were very excited. On the morning of the 8th, we had Mass with the Cross of the Young People, which had gone to pick up at Rocafuerte with a group of students and with our statue of Our Lady. There was a lot of people, in addition to the youth. Later in the afternoon, the members of the Home got together to pray the rosary, and then talk about the Home, which was very good. We talked about the need for effort. 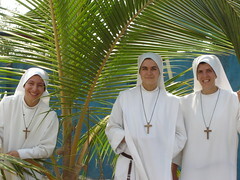 The adults are very good and it is good for the young people at times to be with them, because they see how excited they are about Our Lord and the Home, and it is a good example. 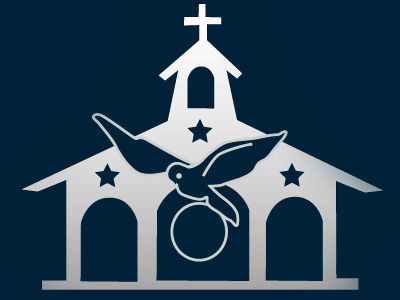 On December 12th, we had the First Communion of 33 children. Many go to our school and were well aware of whom they were receiving. They were very nervous and very happy. 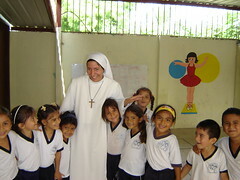 Sister Ruth Maria, who is their catechism teacher, was also thrilled. We decorated the Church beautifully. They received communion on their knees, by their desire. Father Richard celebrated the Mass and spoke very well to the parents. He loves the liturgy and made everything simple but solemn.